Caulking Professionals is one of the Toronto’s leading caulking application specialists. We are committed to rendering all our customers with a practiced solution for any mastic sealant requirement, with the supply of advanced products and their specialist treatment by our skillful workforce. 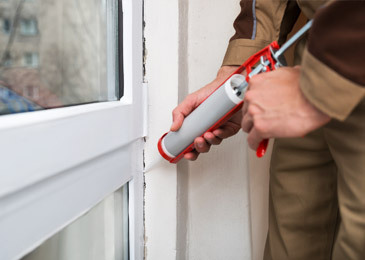 We offer complete caulking services, sealing, and weatherproofing services. We are proficient at fixing all types of sealants, growing foam sealants, seeping sealers, tuck pointing, small waterproofing works, compression seal systems, fire rated sealants, sprays, and pedestrian and vehicular class deck coating. Caulking Professionals is licensed, insured and bondable. We handle new structure, reconstructions, and repairs to existing buildings, working with several local general contractors and administration companies, on a broad variety of projects. We have been able to authenticate ourselves as one of the most capable, informed and competitively priced caulking companies in the industry. Undertaking projects with leading building contractors, we have built our credit on providing customers with a quality service that is always performed on time, within estimates and to the highest specification. With the corporate presence in Toronto, Brampton, Mississauga, and surrounding area, our trained workforce is able to undertake projects on a nationwide basis and always deliver a service of the highest order. Our expertise and experience in the application of caulks in various settings ensure the best-suited caulks will be applied to guarantee long-term effectiveness and sturdiness. The masters of Caulking Professionals are here, and they mean business. All the sealing jobs, be it for your washroom, kitchen, or any other area of your house, will be managed with high efficiency, without leaving any mess for you to deal with. Besides, if there’s any tiling or grouting task to be done, you can be entirely sure, that the handymen will take care of it. Everything needed for the timely completion of your service will be carried by the experts so that your washroom/shower/sink will be sealed flawlessly. This includes the supplies that will be applied. Also, did you know there are sealants of various colors? You can tell us which one you prefer in advance, and your handyman will bring it. And please bear in mind that the costs for the materials applied will be calculated in the final bill. 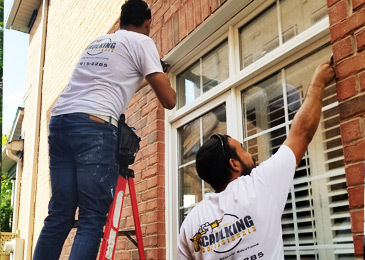 Caulking Professionals is an owner-operated business based in Toronto offering caulking solutions and doing our part to ensure the job is done right. 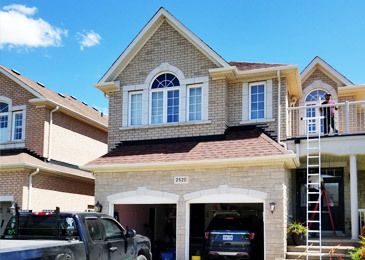 Our goal is to help clients save on energy costs, prevent water damage from weather and condensation build up, and provide the most professional caulking solutions for their home and/or business in the GTA. We are committed to providing affordable, effective and energy efficient solutions to your home and/or business. We are fully insured and highly qualified, we’ve been in the industry for over 5 years, allowing us to gain a solid reputation and wide client base. Caulking your house is a must for a number of objects: it keeps water and cold weather out, helps prevent rot, mold, and fungus from growing, keeps your heating and maintenance expenses down, makes your house look more beautiful and expertly cared for, and even helps paintwork to last longer. The primary objective of caulk is to stuff in the gaps in different building elements – such as the tiles around your bathtub and the tub itself. Put simply, air and water are put in their respective places, reducing problems such as higher energy bills, and mold and rot. The caulk that our professionals select really depends on the elements we are working with and whether we are caulking the interior or exterior of your house. We take into consideration the presence of moisture, the elements, and scale of temperature, whether we can coat over the caulk after it has dried, and whether or not it demands a degree of plasticity to be used between surfaces that move in response to weather or temperature. 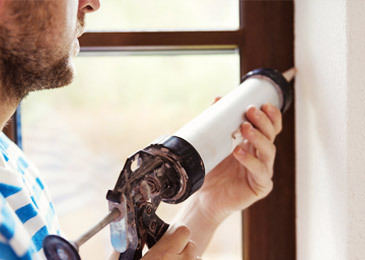 Caulking might not be the most fun task on your house renovation to-do list, but it is a critical one if you want your house to look better and be safer, more energy efficient and less pricey to run and manage. Talk to the team at Caulking Professionals – we offer caulking and sealing services that will warrant your house is properly protected from such elements. As buildings age, the caulking can become thin and ultimately disappear. This leaves the structure exposed, increasing the possibility of exterior and interior water harm. Additionally, this occurs in a loss of energy efficiency. To put it simply, concrete buildings use more energy when there are holes in their joint sealant. It is our profession to make sure that residential, business and institutional structures throughout the city get regular inspections for the state of exterior caulking and proper and thorough treatments of joint sealant. Our reliable teams have restored the caulking in buildings from condos to offices to stadiums to prisons. During our process, we apply joint sealants to the outsides, as this renders increased energy efficiency and extends the years of use. Let our specialists, who are well-versed in all regards of exterior caulking services, handle the treatment of sealant, as well as help you choose the ideal caulking to use for your property. Polyurethane, for instance, might be superior to silicone for a distinct purpose. Our caulking experts have the expertise to render exterior caulking services to the most crucial areas of a structure: joints- both control and expansion; frames of the windows and doors, and soffits and fascia; as well as glass. We advise regular inspections of caulk to ensure the material is serving its mission—to safeguard against moisture and to provide insulation. It may seem like an trivial factor in the great scheme of residential or commercial premises maintenance, but decent caulking of all potential places for water/air infiltration plays an important role in the life of the structure. While some may dismiss a dab of caulking missing from a window frame as unnecessary, the cumulative outcome of not sealing a structure well can be the equivalent of having a fairly large/gaping hole in a wall or the roof. Effective building caulking, particularly in light of the severe weather encountered within Toronto, and the GTA presents various benefits to property owners/managers and their structures. 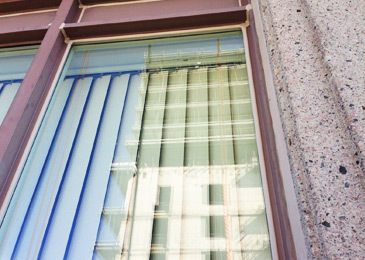 Taking prompt action to seal or reseal windows, sewers, and other possible sources of water and air leaks can safeguard a household or business building against damage and devaluation, not to mention, save the landlords’ money on energy expenditure and unnecessary improvements. We offer professional caulking services for business and private buildings across the GTA. As building envelope and restoration technicians, you can count on our team to ensure practical, quality work done in a timely manner. To examine the current state of your house or building and meet any repair or restoration needs, call the commercial caulking experts at Caulking Professionals or contact us to request your no-obligation quote. It is extremely important that all exterior openings of a structure are correctly sealed with caulking to stop water damage and air or pest invasion. This will also conserve energy in the longer run. Many people today have such a busy lifestyle and seldom look around the exterior of their house or commercial property to check for damage. In reality, everything ages and demands routine maintenance. With most constructions, caulking is overlooked and has aged and shattered or separated from the surface leaving holes and gaps exposed to seeping cold, water damage, escaping energy, pest entry, plus many costly repairs down the road if not tended to. 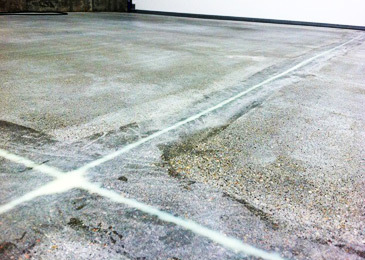 A suitably prepared surface along with a top grade caulking material will provide many years of assurance as well as a very orderly finished look, increasing the resale value of any property. Caulking Professionals have rendered home builders, property maintenance companies and residential owners with top grade caulking services across Toronto. Our experts always work all the agreement conditions for caulking work so there will not be any blows. Customers always get more than what they pay for when they call us for residential caulking. Our professionals understand that caulking can guard your investment and limit damage to your structure, be it a commercial or residential property. Color matching is not an obstacle as we offer a variety of different tints to choose from. No other residential caulking business in Toronto provides the equal level of customer gratification and value. Sealing your windows can have a massive impression on your home. Not only can it keep your houses’ heating and cooling expenses down, but it can also keep out stray insects, allergens, and weather too. Most people don’t recognize that such a vast amount of dirt and debris that seeps into the house does so through tiny cracks and holes in the windows. Ensure your house stays safe from all types of intrusions. Learn what might be ending up in your house if your windows are not fitly sealed. No matter what type of heating keeps your house warm in the winter – gas, electric or radiator – sealing your windows correctly can ensure that the heat stays where it’s deemed to- inside. Keeping your windows sealed will make sure your precious heat can distribute throughout your house without leaving through the cracks in the windows. Managing your windows is one sure way to guarantee your house stays in best condition through the seasons. An essential component of saving bucks on your utility bills is scheduling yearly maintenance with your Caulking Professionals. To schedule one today, call us, and we’d love to help you. Pavers are an attractive foundation for outer layouts and provide a secure, artistic investment that enhances the value of your house. However over time, like any outer surface, vulnerability to weather and use will end in discoloration and degeneration. Climatic conditions, tire lines, motor grease, BBQ stains, leaves and other organic spots and fertilizer granules are among the factors that will lead to tarnished beauty. Applying a sealer to natural stone helps to keep out water, defends it against waning from UV light, stops exposing and limits salt stains which are particularly important in coastal areas. Many of these spots that occur are tough and can form within a few seconds of spills that have not been washed up. Often, no amount of washing or polishing can remove them, wrecking the visual display of your landscape forever. By simply applying a sealer to your landscape, you dismiss these risks and will have real stone pavers and tiles look as fabulous as they did when you first installed them years down the track. A sealer must be applied at least once every four years to maintain a warranty on your stone pavers or tiles. Contact us to know more about our landscape sealing services.